What is Pune without the FTII? 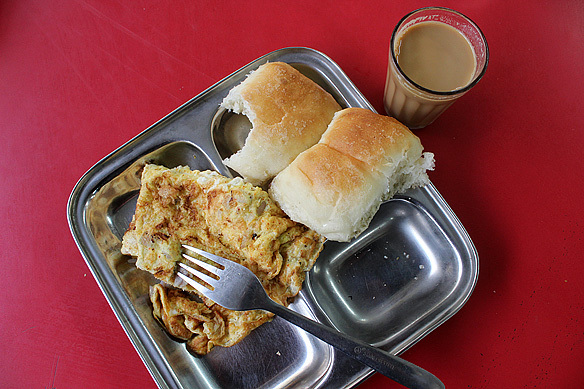 Okay, one may say “lots” as my previous post 36 hours in Pune blatantly states. 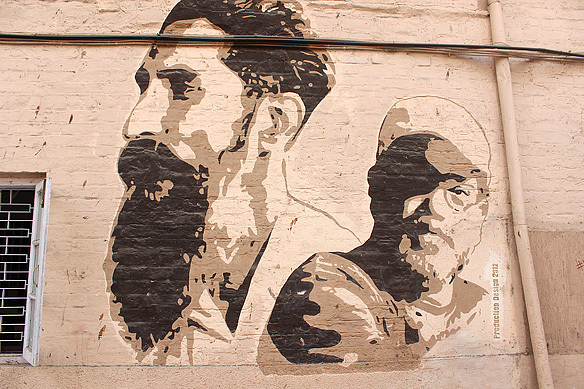 But one cannot deny FTII is integral to the city, and historically, even to the country. Its contribution to Indian cinema through its alumni is legendary. Whether it be the histrionics of Jaya Bachchan, Shabana Azmi, and Naseeruddin Shah or the directorial vision of Sanjay Leela Bhansali, Vidhu Vinod Chopra, and Prakash Jha, each has added a gem or two in India’s prized entertainment business—Bollywood. 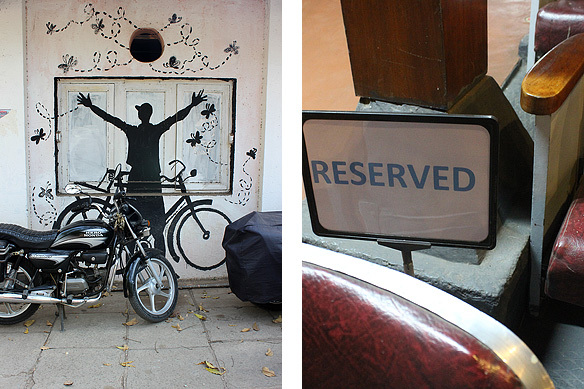 FTII, the Film and Television Institute of India’s history is no less captivating. Christened Film Institute of India in 1960, the autonomous body under the Ministry of Information and Broadcasting and a member of CILECT, was given its current name in 1974. Though I am no movie buff, to be Indian translates to a love for cinema. But alas, one cannot just walk into FTII’s famed campus in the north-west outskirts of Pune. Closed to the public, the Institute opens its doors to common-folk on rare occasions. One such was for a heritage walk during the heritage week organised jointly by Janwani and Intach Pune. FTII’s story began in the year 1933 when Prabhat Film Company, a leading production house decided to build its own studio in Pune. The state-of-the-art setup was soon acknowledged as the best in Asia. All together Prabhat [meaning Dawn] produced 45 films, in Hindi and Marathi, including five silent films from 1929 to 1953. Handling social issues with much adeptness, as well as recounting tales from mythology, history, and religion, its classics are a key part of India’s cinema heritage. 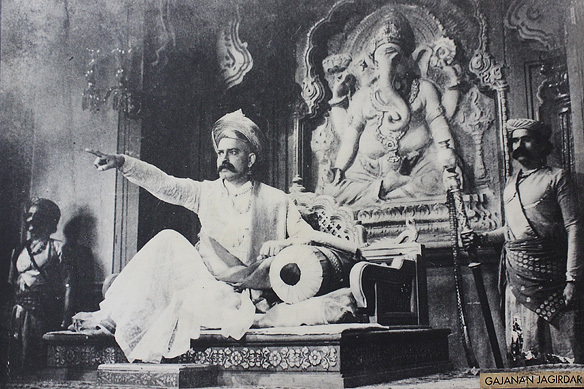 Sant Tukaram (1936) ran for 57 weeks in Mumbai alone and won critical acclaim at the Venice Film Festival in 1937. Ramshastri (1944) and V. Shantaram’s trilogy in Marathi and Hindi—Kunku/ Duniya Na Mane (1937), Manoos/ Aadmi (1939) and Shejari/ Padosi (1941)—form part of the Studio’s bests. Dev Anand and Guru Dutt were both launched by Prabhat. It was a different era back then, much like how Hollywood is today. 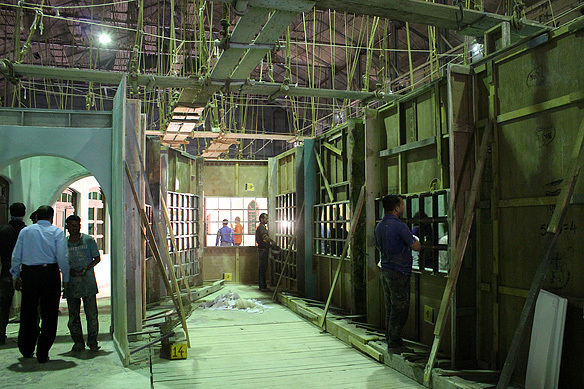 Actors and directors were on the studio’s payroll, together with technicians and scriptwriters. Theatres and distributors were part of the organogram. The studio business model, and thereby Prabhat, reached its heyday in the 1940s. But the end was also near. Independent film-makers and financiers, and the creation of “movie stars” free to charge whatever fee they wished, ended the studio system’s golden days once and for all by the 1950s. 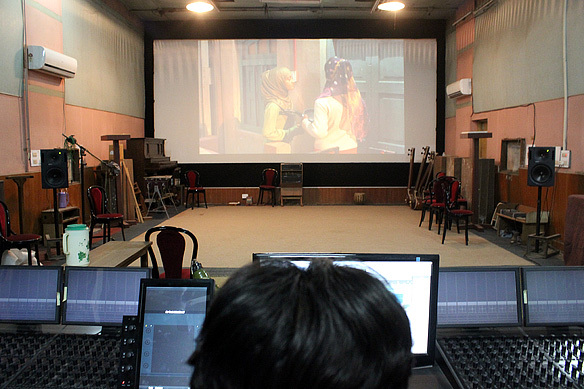 In 1960, the defunct Prabhat Studio, declared a heritage site by the Pune Municipal Corporation, became the official premises of the newly formed Film [and Television] Institute of India to make history again. Stories abound inside about the Wisdom Tree, a mango tree around which Ritwik Ghatak, a prominent Bengali film-maker and script-writer gave gyan on life and cinema to his students, and Shantaram’s Pond, site of many an outdoor shoot used by the legendary film producer. Collectibles inside the Prabhat Museum include original costumes, props, posters, and film stills. 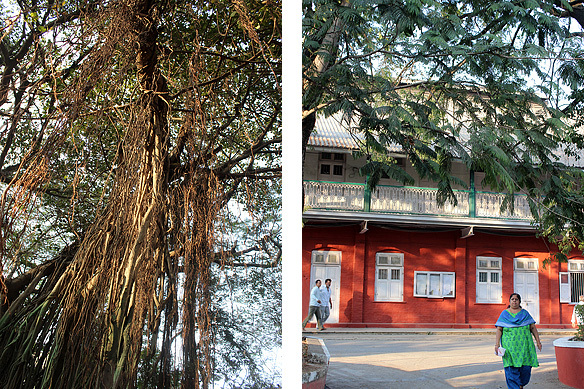 Wistful banyan trees hem Shantaram’s Pond whilst brick-faced offices line the lanes of the FTII campus—reminiscent of bygone days when creativity, activism, and business acumen met. 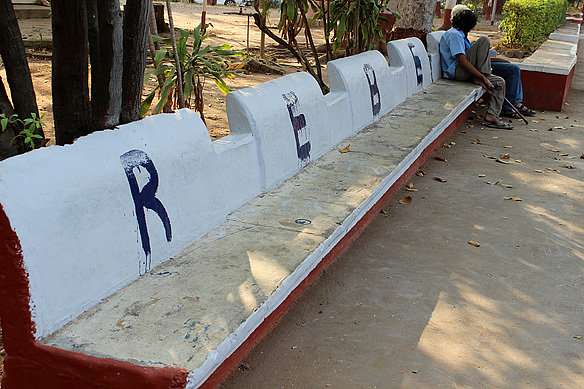 Top: The above bench was reserved for Prabhat’s five founding partners; Bottom Right: Reserved seats in the auditorium for FTII’s alumni who went on to become super stars. Interesting factoid: P.K. Nair, founder and director of the National Film Archive of India scrutinised around 10,000 films at this very same auditorium for the archive’s collection. A film set recreating a medieval house in the main studio, much like it would have been 90 years ago. Prabhat Studio, comprising five studios of which two are still functional, was renowned for its production quality and the use of plaster and draperies in its sets. The Shyam Benegal film Zubeidaa (2001) was filmed here. 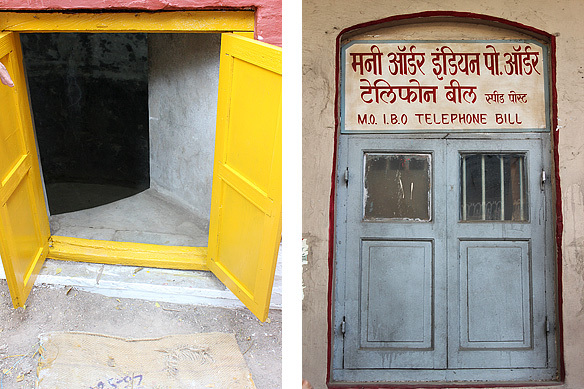 Left: The little yellow door opens into a closed chamber which was used to create echoes. Technique employed? 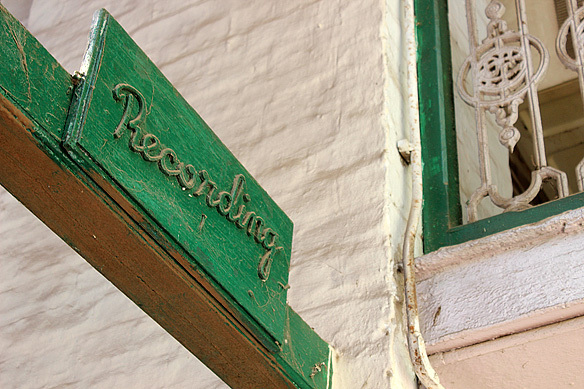 A mike in the studio led to a speaker inside, the reverberating sound was then re-recorded; Right: Straight out of a 1940s film. Hey, it is a 1940s set. 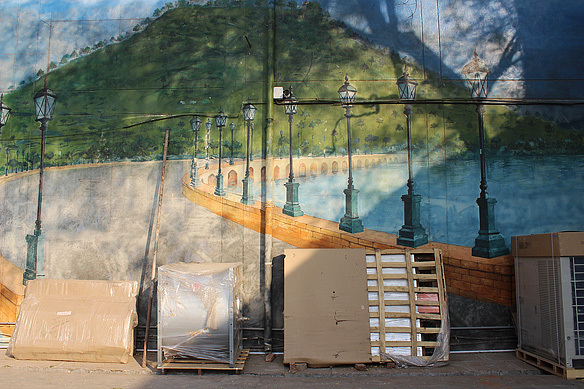 A backdrop for outdoor shooting and a wall graffiti both tell stories, told and untold. 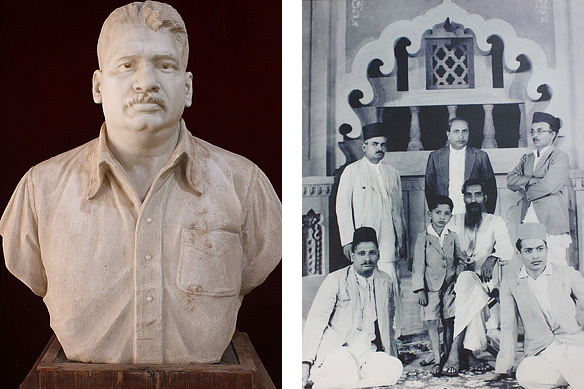 Left: Vishnupant Damle, earlier a backdrop painter, founded Prabhat Film Company on 1 June, 1929 with his partners—He worked as a sound recordist in his production house before moving to direction with the film Sant Tukaram; Right: Baburao Painter [seated on the chair] with the partners of Prabhat: Sitaram Kulkarni, K. Dhaiber, S. Fatehlal with [seated on the carpet] V. Damle and V. Shantaram. 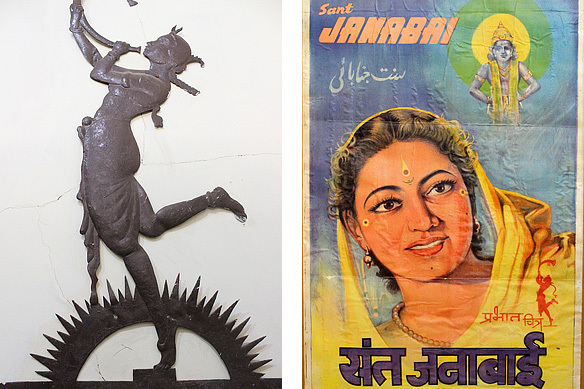 Left: The iconic logo of Prabhat Film Company; Right: The equally iconic poster of Sant Janabai (1949). Note: My above walk was led by Professor Anil Zankar, faculty at FTII, as part of the Pune Heritage Festival 2017 organised jointly by Janwani and Intach Pune. The walk ended with a special viewing of Zankar’s documentary “The Rise of the Studio System in Western India” made for the Films Division. This entry was posted in Exploring India, Maharashtra and tagged Anil Zankar, Film and Television Institute of India, Film Institute of India, FTII, Heritage Walks, History of Bollywood, Janwani, Prabhat Film Company, Prabhat Studio, Shantaram Pond, Things to do in Pune, V Shantaram, Wisdom Tree by Rama Arya. Bookmark the permalink. Very descriptive felt as i was walking through your photo library. Much thanks. 🙂 It was a fantastic place. More the hallowed for its rich history and alumni. I will surely visit one day. Thank you for knowledge sharing. The pleasure was all mine. 🙂 Am happy you enjoyed the read. Hahaha! Commenting from FTII myself, it’s nice to see the place I a travel related article! Did you sit under the ‘Wisdome Tree’?